What a cozy sweater. Love the look! You look positively warm to me! 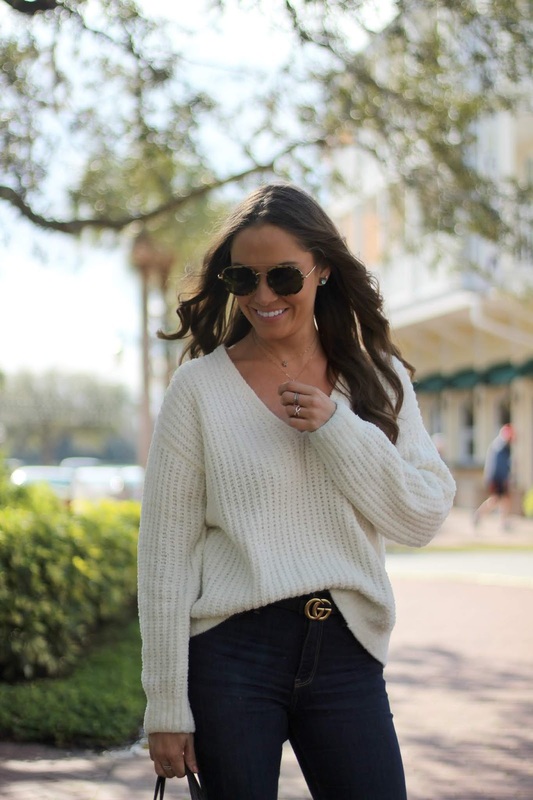 LOVE simple sweaters like this one! You look super chic and I'm obsessed with your belt!! Looks SO cozy and those are my kinds of temps! Your whole outfit looks comfy cozy!!!!! just below 70 degress might be my sweet spot. Cozy clothes and weather without the freeze. Love the jeans! Such a cozy sweater!! It's been so fun to have "winter" here lately! 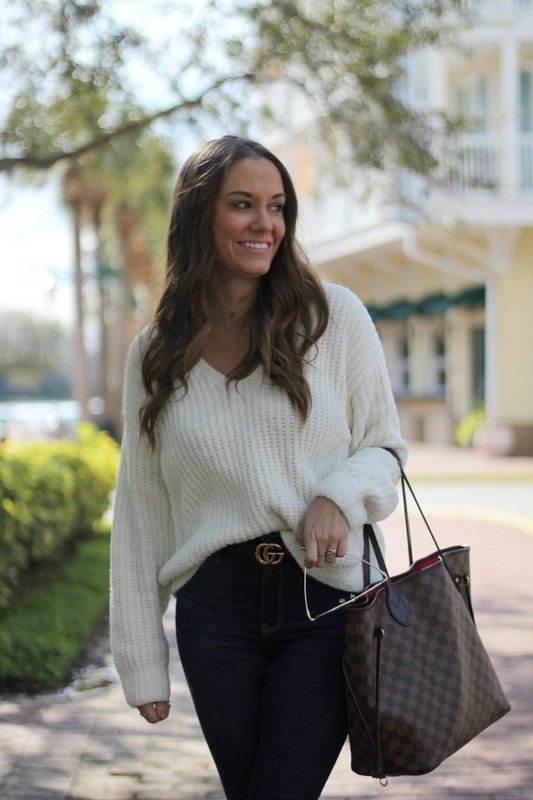 Love this sweater - it looks so comfy and cozy while still looking chic and put together!! So cozy chic! I love that we got to break out the heavier pieces for a bit, but is it bad that I'm loving the warmth being back already?